A few quick clicks can reach a wide audience. You’re in the homestretch of your fundraising efforts! 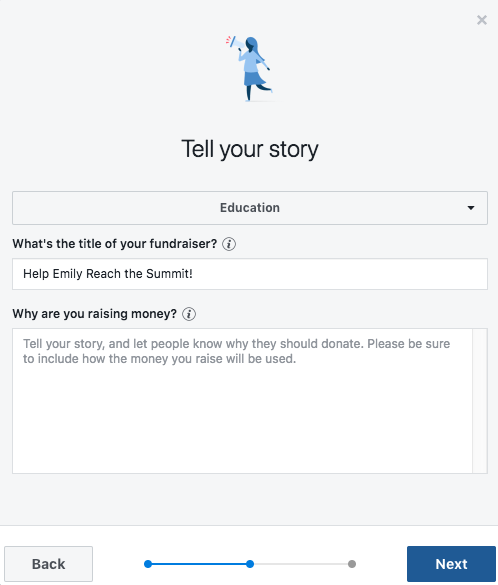 An easy way to raise more money for your Summit that you can start today with absolutely no start-up cost is to host a Facebook fundraiser. We’ll show you how! When you’re logged-in to Facebook, look at the top blue toolbar. Clicking “Create” will drop down a menu of options. 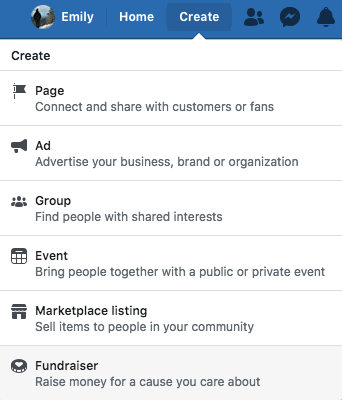 Click “Fundraiser” at the very bottom of the menu (see screen shots to the left). This will bring up a small window where you’ll click “Yourself” at the bottom of the list. This will lead to a set of questions to fill out regarding your fundraiser. For the question, “How much money do you want to raise?” remember to account not only for the tuition amount but also for travel expenses and money for souvenirs. Of course, meals, Summit activities, entrance fees, and accommodations are all included in the tuition! For the question, “When should your fundraiser end?” keep in mind that your tuition must be paid in full no later than 60 days before the start of your Summit. The good news is you still have at least three weeks (or more) to host this Facebook fundraiser and still meet that mark! Clicking “Next” will bring up a new set of questions to answer. 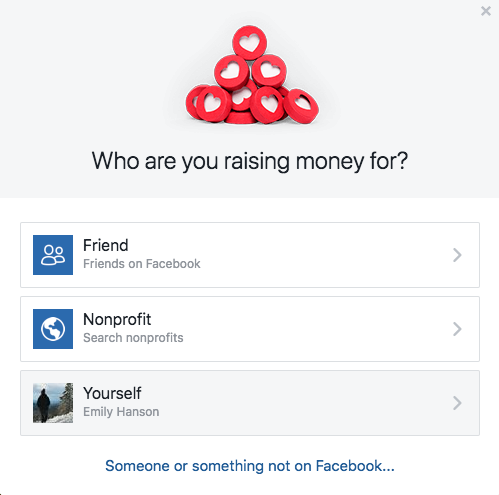 Select “Education” as the category, come up with an attention-grabbing title, and describe the purpose of your fundraiser in detail in the bottom box. This is where you’ll want to share information about Ambassador Leaders, your nomination, the Summit’s location, what you’ll be learning and experiencing on Summit, and what the generous donations will support. This is the most important section, so don’t hold back! Share why this is so important to you and get some proofreaders to help you make useful edits and additions. Include links to Ambassador Leaders’ website, the testimonial page, and our YouTube channel so potential donors can see what we’re all about. Don’t forget to include our contact information in case they want to reach out directly with questions! If you’re looking for more information to include as you answer the question, “Why are you raising money?” be sure to check out our Summit Highlights blog series. 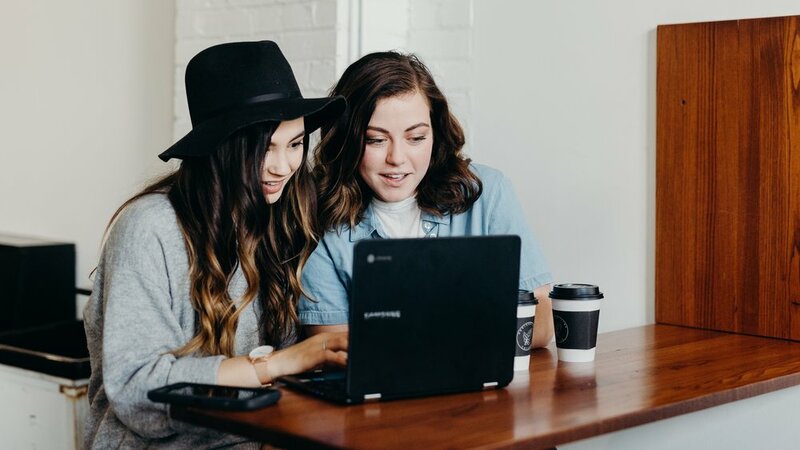 Each Summit location has its own blog with the campus’ history and notable graduates along with descriptions of each Summit’s unique and exciting activities. These blogs are great resources! Clicking “Next” one final time will bring you to the design page. Choose a cover photo that will be sure to grab your Facebook friends’ attention. We put together one option for a cover photo you can use, but you can also exercise your creativity to personalize a banner of your own. When you’re all set, click “Create” to publish your fundraiser and share, share, share! Have your friends and family share your post to get the word out too. We also recommend weekly updates to keep folks engaged and drive more donations. Check back to our blog for ideas about updates you can make to your fundraiser page. You should also update your donors as you progress toward your fundraising goal. It’s always fun to watch goals being reached in real time!